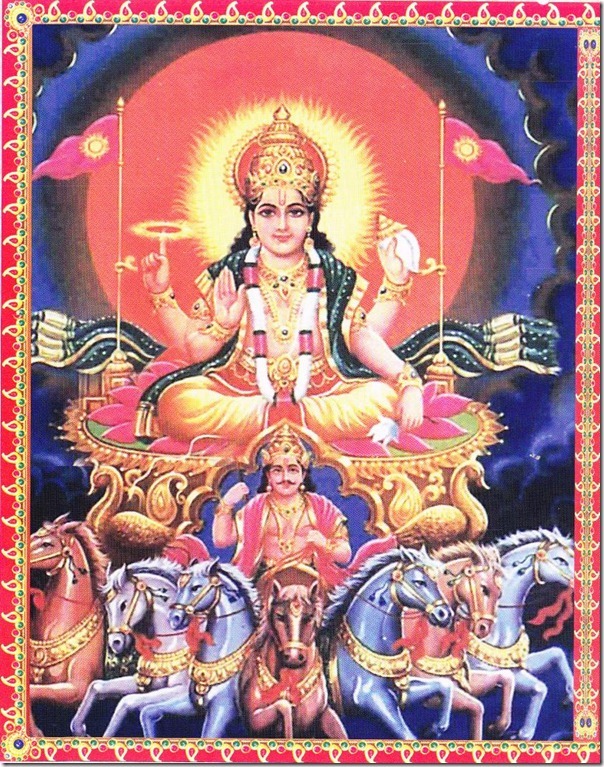 Surya is the chief solar deity in Hinduism. Suraya is one of the Adityas, son of Kasyapa and one of his wives, Aditi, of Indra. 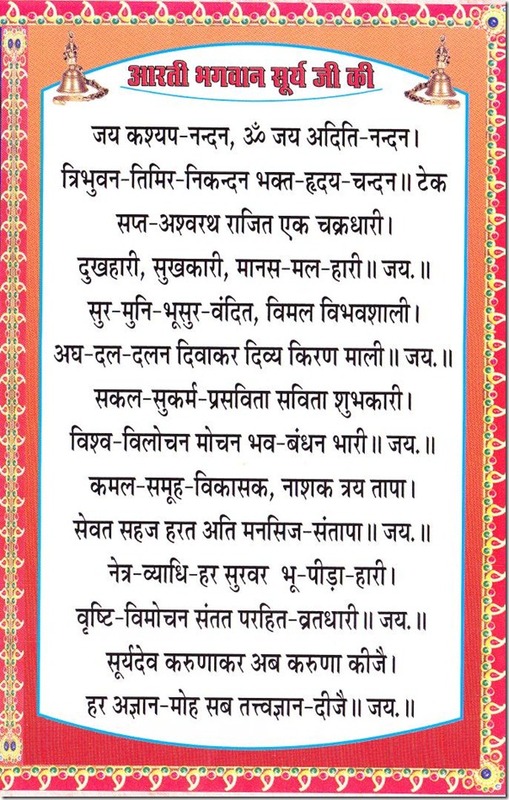 The word "Surya" means the Sun. Lord Surya has the hair and arms of gold. Surya drives through the heaven in his triumphal chariot harnessed by either seven horses or one horse with seven heads. These seven horses represent the seven colors of the rainbow or the seven chakras. Surya is usually depicted with two hands holding a lotus in each. Surya is also sometimes depicted having four hands holding a lotus, a chakra, a conch, and a mace, as shown in the image below.